There’s this thing that happens after a TED conference – it’s hard to return to normal life. It’s taken me awhile to get around to this post. There was a lot to process and I haven’t finished by any means, but here’s a bit about my experience. 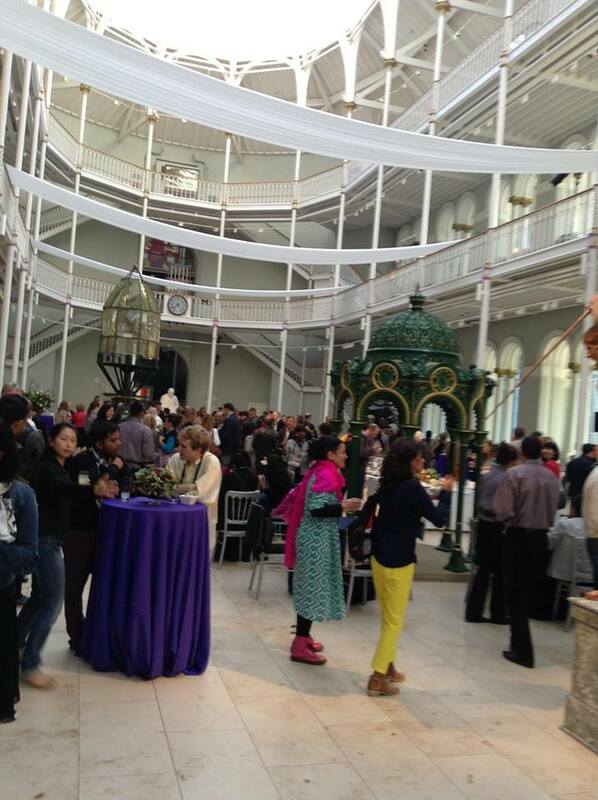 First off, Edinburgh is a great city and I fell head over heels in love with it. Beautiful, next to the water, friendly, great food, walkable… all good things. When I returned home, I discovered that a friend of mine attended in 2012 and we had the same reaction during the week, “What the hell am I doing with my life? 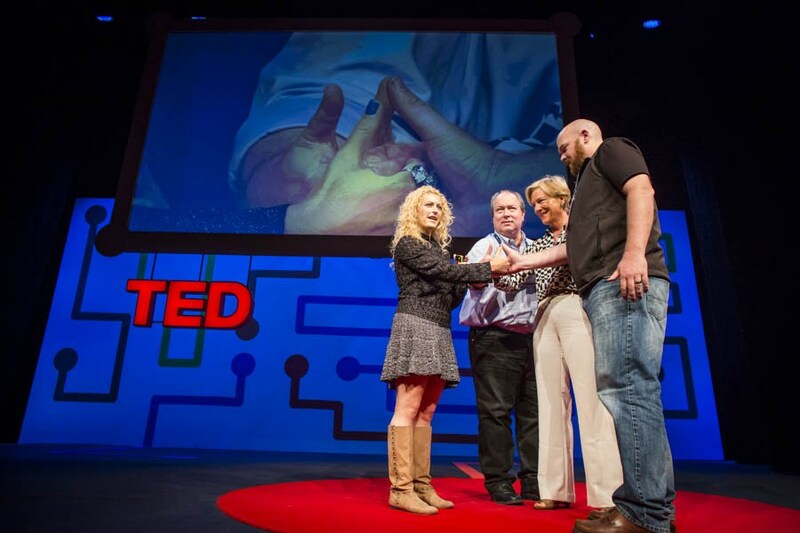 !” And not in any kind of negative or comparative way, but at TED you learn that you can have a huge ripple effect, sometimes with seemingly small actions, and you want to participate, not for personal or selfish reasons, but to make the world better because there are greater possibilities for good than you realized. 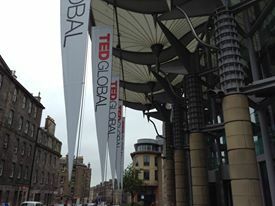 TEDGlobal is a remarkably kind and supportive environment. So many creative, curious, hard-working and innovative people across disciplines. It is also as intense as everyone says. I’ve been describing it to friends as a multi-disciplinary grad school on steroids. There were great talks of course (see Chander’s post below for some of the best). At TEDU, before the main stage talks began, they told us that we would get more from the people sitting around us than the main stage speakers. Yeah, right. Well, yes, they were right! At the opening party, I met Steve Cardinale and we ended up talking about the conscious curation of one’s life and in the course of that conversation, I saw that the umbrella over my life is about the move from unhealthy to healthy. Whether it’s the charitable work I’ve done with others in Dandora, themes in my novels, discussions with friends or my own journey, the unifying purpose or mission for my life is about what it takes to stimulate, inspire and encourage the move from unhealthy situations to healthier ones. I saw this in the Kibera slums when they tried to move people out into nice apartments who would then rent them out and return to the slums, to their work, sense of community and home. I’ve seen it in my move from the mess I grew up in into creating a better situation for my children. Or at work, not only in the roadmaps to emotional recovery in my novels, but the process itself whether in writing or on film sets and theater stages to get productions functioning in kinder, healthier and ultimately more efficient and productive ways. Obviously, there is no easy or simple answer, but the facets of that problem are what I’m exploring. The theme was Think Again and that happened right away for me. The attendees and speakers are fantastic. You could approach any group and be welcomed into the conversation. I was able to put friends back home doing non-profit work in Kenya and Uganda in touch with the speakers doing the kind of innovations that will enhance their work in Africa. And just about everyone I ran across was also so much fun! I had the great pleasure of getting to know professors, scientists, journalists, and more and formed friendships that will continue over dinners in Chicago, New York, perhaps Singapore, etc. There was a lot of fun to be had at TED, including flying quads (wish WordPress would let me post that video!). There’s a great generosity of spirit, too, that I found very encouraging. How will this play out in my own life? Who knows, but I am thinking again, thinking bigger, thinking a lot. Bruce Bassett gives a great account of what it’s like during and after TEDGlobal, particularly the observation that there was almost no negativity. I didn’t hear any during the week. Here are some other observations by Chander Chawla (includes some of the best talks), Henrik Ahlen and Katerina Biliouri.